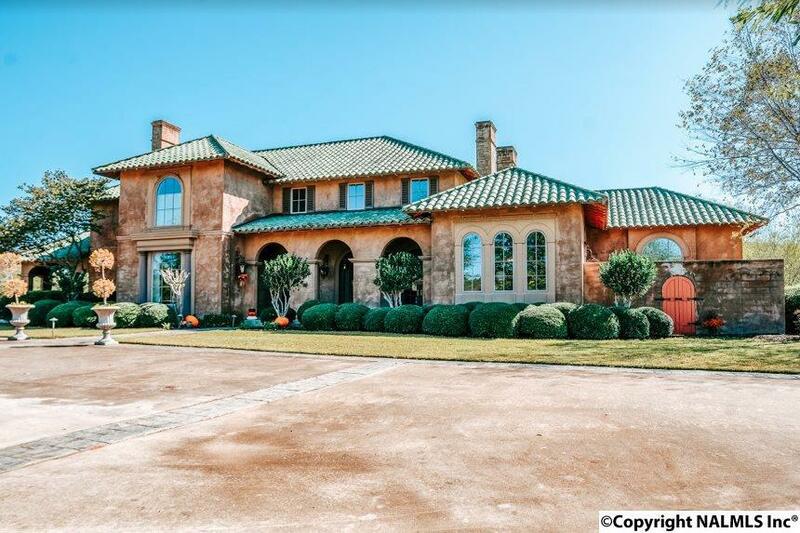 Beautiful custom designed Mediterranean Estate with sweeping valley & mountain views. Nestled in Northeast Alabama on 38.40 acres with pond, stream and guest house. Every room in the house was carefully & skillfully designed to complete this masterpiece. Custom mouldings and custom iron light fixtures by Bree compliment the impressive interior. 20 foot soaring ceilings in the foyer & grand room make a statement all its own, not to mention the massive cut, limestone fireplace, curved Moroccan ceilings, Roterra slate tile flooring, four additional fireplaces, Library, Game Room with surround sound speakers and Karastan leopard print carpeting. Come view this Spectacular home to see it all!